Because of the competitive nature of the industry, most life sciences quality leaders are laser-focused on performance management. It not only helps to keep you in check, performance management is a critical component of continuous improvement initiatives as it provides visibility into what’s working effectively and what might require more people, processes, and technology resources. In the past several years at LNS Research, we’ve seen increased concern for as well as investments in performance management. As many of the past limitations of technology (total cost of ownership, integration, legacy systems, geographical disconnect, etc.) are quickly disappearing, life sciences organizations are able to rely more on metrics and KPIs to find actionable quality intelligence in different data sources and systems. Building on the discussion of LNS Research’s new Quality Management Maturity Model from several weeks ago, as is the case with technology maturity, it’s important to understand the different phases of performance management and KPI maturity so you can develop an actionable plan for progressing forward. In this article, we’ll do just that. Although LNS Research’s Quality Management Maturity Model provides a comprehensive view of six different factors — Strategy and Execution, Leadership and Culture, Organizational Capabilities, Business Process Excellence, Technology Capabilities, and Performance Management and KPIs—for this article, we’ll focus specifically on Performance Management and KPI maturity. Below, we map the high-level phases from Ad-Hoc to Controlled, Proactive, Agile, and Market Leader. In life sciences, it’s most typical for organizations to start in the ad-hoc stages. And whether we’re discussing medical device startups, small contract pharmaceutical manufacturers, or even some larger global life sciences companies, we’re finding that most organizations progress similarly through the different phases of this model. Ad-Hoc performance management is essentially how it sounds: organizations develop processes for measuring and using compliance, risk, and quality performance metrics and KPIs on an as-needed basis. This is generally done with spreadsheets requiring manual data collection and analysis, and is disconnected from broader initiatives. Despite this strategy’s ability to fill a short-term gap for many organizations, it’s not a scalable process, and it almost never delivers long-term benefits, which is why we see organizations transition forward. As you move along the Performance Management Maturity Model, one thing that stands out is the transformation from a reactive to a proactive strategy for leveraging your quality management system. As discussed previously, this is closely connected to technology capabilities and architecture. We find that there’s often analogous progress between performance management, technology, and business process maturity. The reason we’ve spent such a considerable amount of time developing our different Quality Management Maturity Models is because most organizations are stuck between the Ad-Hoc and Market Leader phases wondering what to do next. 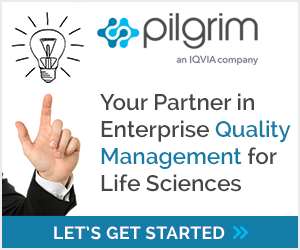 In fact, it’s an area in which many life sciences executives have requested guidance. In reality, there are many steps to take and different strategies to understand. For a deeper dive into each of these areas of maturity — particularly Business Process Excellence, Technology Capabilities, and Performance Management and KPIs — and actionable recommendations for moving to the next phase, read our report A New Quality Maturity Roadmap for Life Sciences. Where are you on the path to quality system maturity? Download this white paper now to find out.